Ice Dragons?! Oh man, they're awesome. They have completely crystallized hearts, that's probably my favorite Ice Dragon fact! Oooh, ooh and did you know that if you even lay a single finger on one of their scales, your entire hand will become instantly frostbitten and it'll eventually fall off. They're that lethal, people! One time, my Uncle Lars was lucky enough to spot an ice dragon flying over the snow-covered mountains in Nova Scotia. When it opened its mouth, an avalanche of deathly sharp icicles poured out. He said it was truly glorious! Don't you just admire Gary's passion for these supreme mythological creatures? (He was practically crying tears of joy when recounting these facts.) 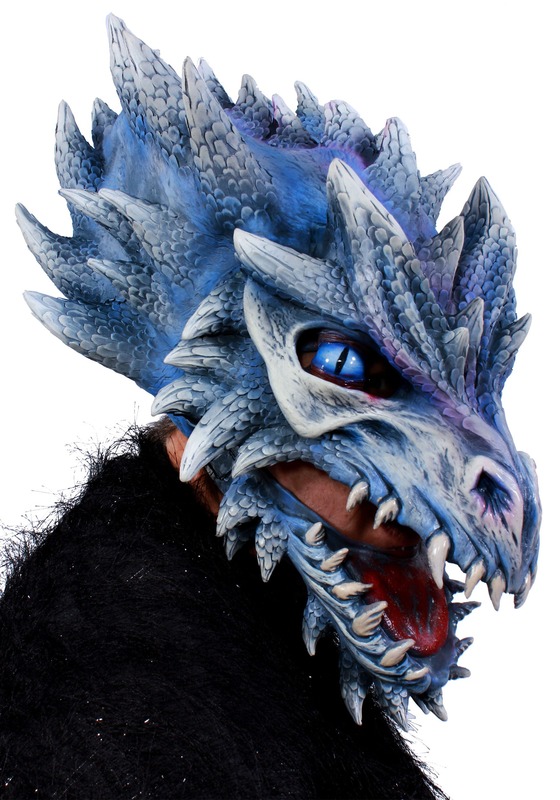 If you feel inspired by Gary and his affinity for Ice Dragons, then you'll love wearing this mask while radiating ice-cold ferocity. 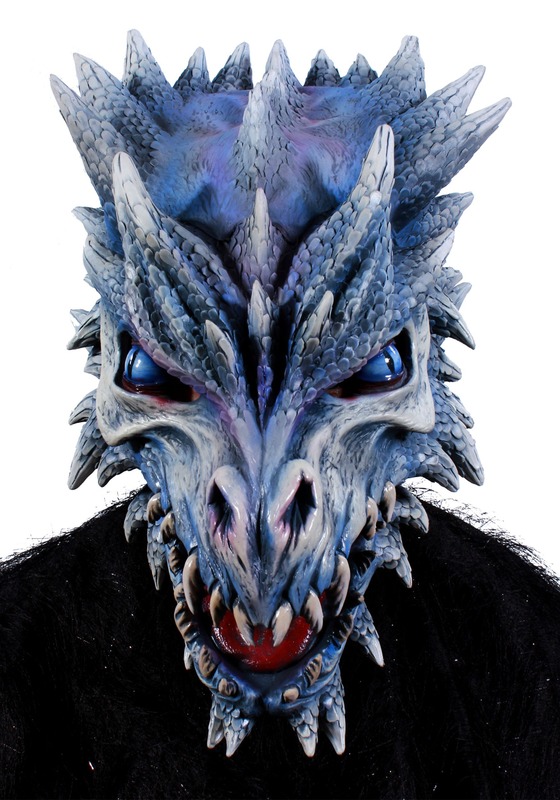 Crafted from latex, this scary mask will make you look exactly like one of these ancient monsters. Sport the mask and tell everyone the tale about how Uncle Lars spotted a flying Ice Dragon. That's something people want to know...right? Disclaimer: all these "facts" about Ice Dragons were completely fabricated by our very vivid imaginations.